All day next Thursday, November 4, Berkeley's International House will host the annual University of California Human Rights Fellows Conference. Featured will be many human rights researchers and advocates -- student recipients of the universitywide summer fellowship program -- who will present their in-the-field fellowship projects. 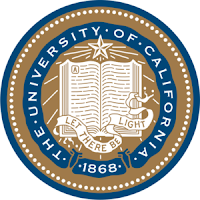 Proud to say that 2 of the presenters received their awards through a competition sponsored by the California International Law Center at King Hall, University of California, Davis, School of Law. They are California-Davis law students Elica Vafaie and Daniel Marsh; their summer postings are described below. 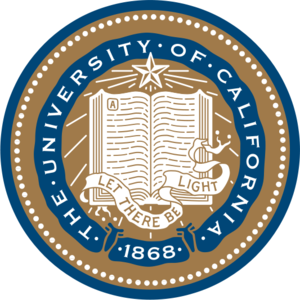 Applications for 2011 fellowships, open to registered students at various University of California campus, are now being accepted; see here. ► "Shadows of Health, Justice and Citizenship," featuring: Andrew Lim (Karen Department of Health and Welfare/Global Health Access Program, Thailand); Lexa Grayner (Bridges Across Borders Southeast Asia, Thailand); Katie Dingeman (Central American Resource Center, Los Angeles); Keramet Reiter (National Council on Crime and Delinquency, Oakland); and Elica Vafaie (Center for Constitutional Rights, New York). ► "Rights: Tension and Interdependence," featuring: Rochelle Terman (Women Living Under Muslim Laws, London); Ugo Edu (A Cor da Bahia, Brazil); Sandra Alvarez (Asociación de Autoridades Tradicionales y Cabildos U’wa, Colombia); and Kony Kim (Bronx Defenders, New York). ► "Identity and Interpretation," featuring: Stephen Meyers (Handicap International, Nicaragua); Candler Hallman (Families Acting for Innocent Relatives, Northern Ireland); Patience Fielding (International Federation of Women Lawyers, Cameroon); and Daniel Marsh (Timap for Justice, Sierra Leone). ► "Media Politic: ‘Visibilizing’ Human Rights," Kate Trumbull (Center for Bridging Communities, San Diego); Michelle Dizon (Focus on the Global South, Philippines); Teo Ballvé (Verdad Abierta, Colombia): and Madeleine Bair(Jamaicans for Justice, Jamaica). ► "Development and the Environment," Anonymous (SOS Habitat, Angola); Lara Cushing (Interamerican Association for Environmental Defense, Mexico); Cheryl Deutsch (National Hawkers’ Federation, India); and Henry Steinberg (Interamerican Association for Environmental Defense, Costa Rica). Fellows' biographies are available here. Conference details here.